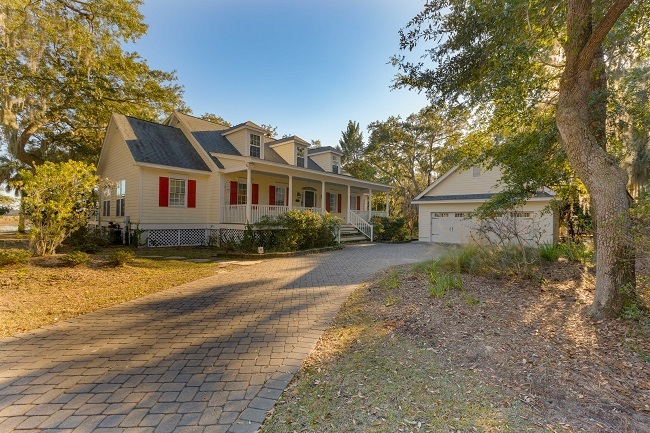 34 Piccadilly Circle is located in the beautiful golf and waterfront community of Pleasant Point, on Ladys Island, South Carolina. Piccadilly Circle is a quiet street off of Pleasant Point Drive. 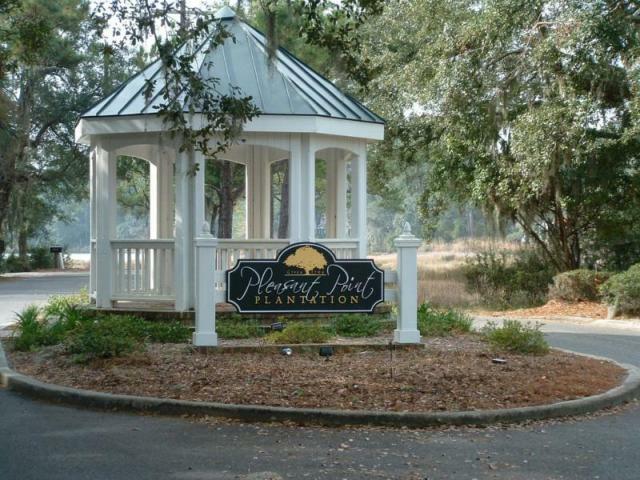 The community is nestled on Ladys Island, which neighbors Beaufort and Port Royal. This three bedroom, two and a half bath home boasts 2453 square feet of enjoyable living space. It is situated on over half an acre of attractive landscape. 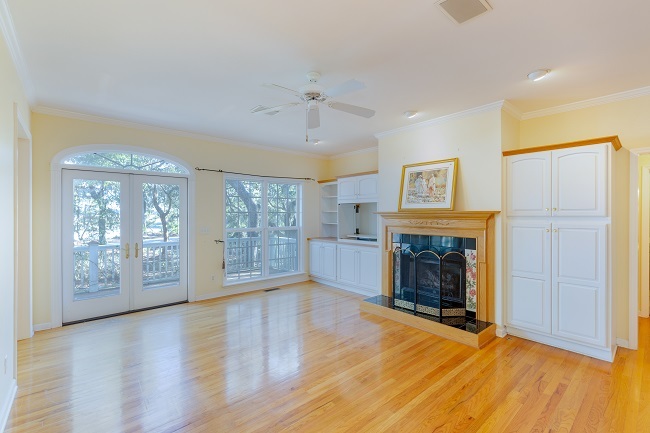 Some of the desirable features found in this house include hardwood floors, plush carpet, gorgeous fireplace and built-ins, and crown molding. The well thought out floor plan flows easily from one room to the next. The main living area has an elegant fireplace as the main focal point that is surrounded by custom built-ins. It has custom windows and doors that lead to the big, open back porch. Enjoy the view from multiple rooms around the house, including the living room. The gourmet kitchen is the place to be. 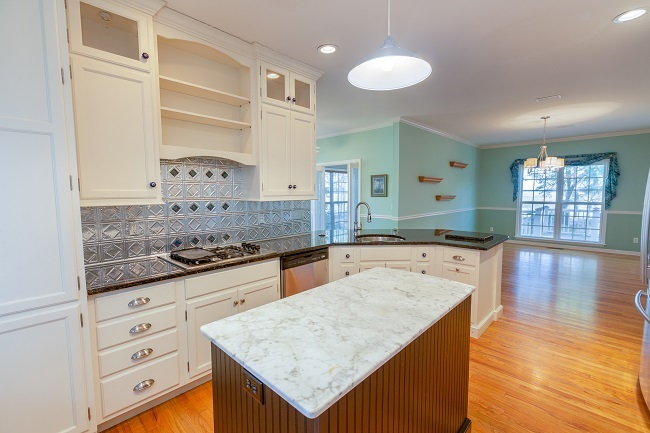 Granite countertops, high end stainless appliances, and kitchen island help make meal prep a breeze. No need to worry about storage, as the custom cabinets are not only appealing, but can house all your kitchen essentials and cookware. The master bedroom is accommodating, being on the first floor. The room gets plenty of sunlight through the large window. 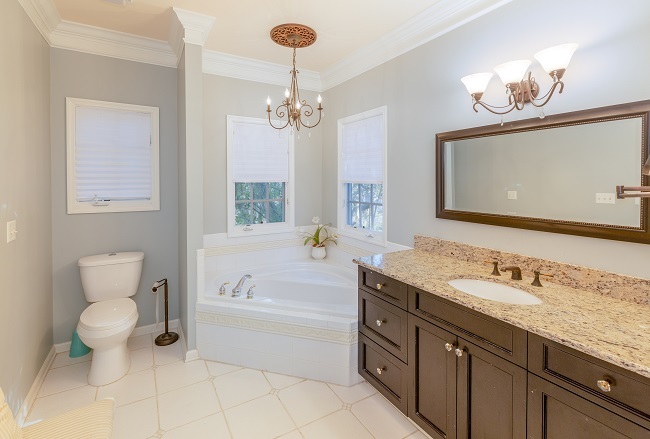 The master bath is like a mini retreat, offering a luxurious soaking tub, separate shower, and granite countertop. The additional bedrooms are located on the second level, along with a spacious floored in attic.